Stella+Olive: Bellabox December 2013 . . . . to subscribe or not to subscribe? 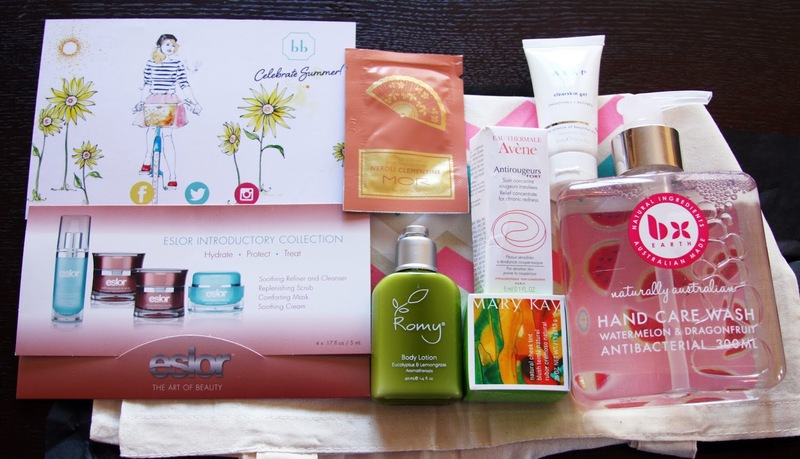 Bellabox December 2013 . . . . to subscribe or not to subscribe? So, this was the month that was going to decide whether I was going to stick with Bellabox (a beautybox subscription that you pay $15 a month for and get sent 6+ sample / full size products). It has sucked me in again. This box is interesting to me and seems to be more tailored to my preferences that I put in when I first subscribed. It came as usual in a small Australia Post box. Inside was black tissue paper surrounding a small, folded calico tote bag, which was in turn wrapped around the products. 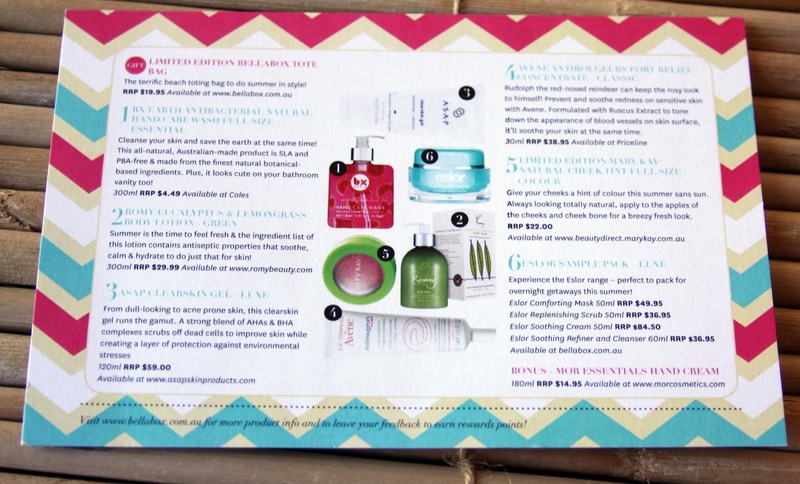 This little postcard tells you about the items, their full size RRP and where you can purchase. The first item is a handwash. Apparently it is all natural and it smells delicious. 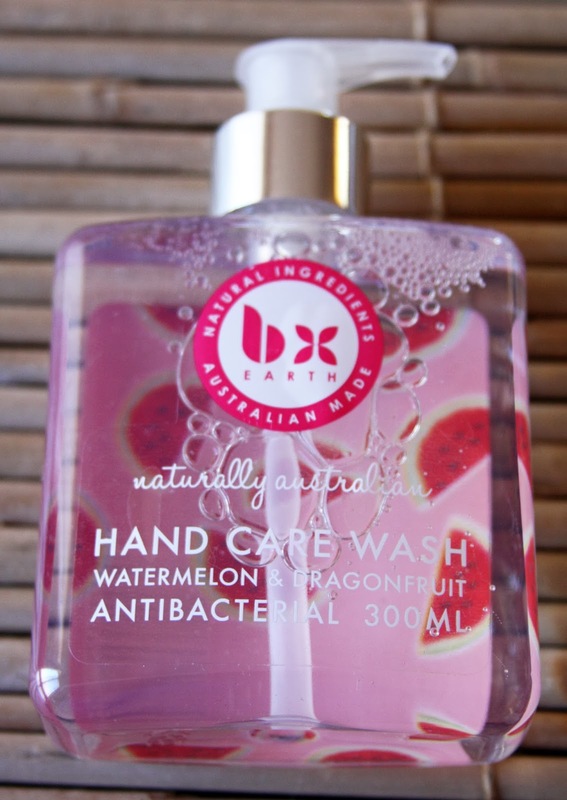 The fragrance is watermelon and dragonfruit. YUMMMMM. You can pick it up from Coles and I think the sample was a full size. Second, there was a Romy Eucalyptus and Lemongrass body lotion. It feels and smells nice. 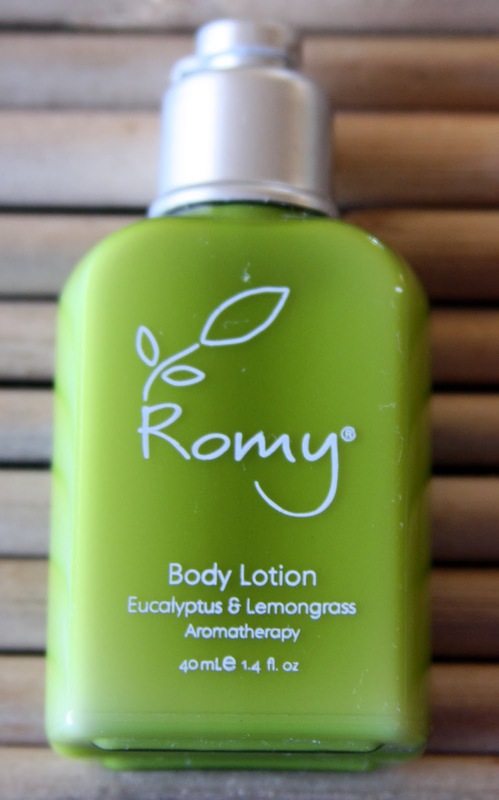 I applied it about 10 minutes ago and the majority of the scent is gone from my skin which is sad as it was deliciously zingy when applied. 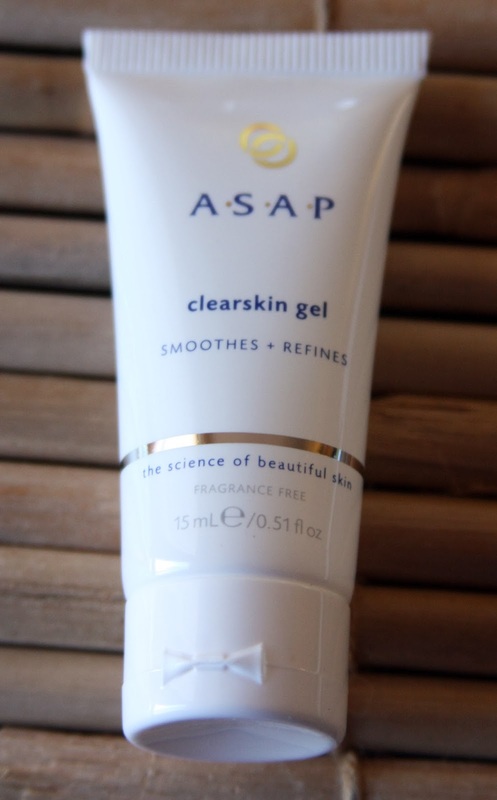 Third there was an ASAP clearing gel which treats acne. I have the occasional spot so will be keen to give this a go. It's an Australian made and owned product also, so that is a bonus. The sample size is 15 mls also, so large enough to give you an idea of how it reacts with your skin. 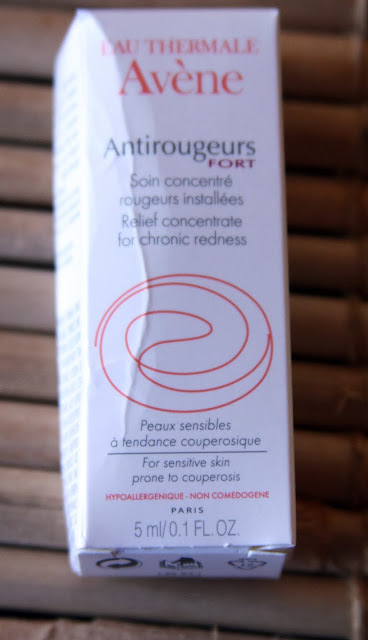 The fourth item was an Avene Antirougeurs Fort Relief Concentrate. It is supposed to prevent and sooth red skin. So I guess it would be handy for those area like around your nose and chin. I don't really have a huge issue with that, but hey . . . The sample is teeny, tiny though. 5ml. 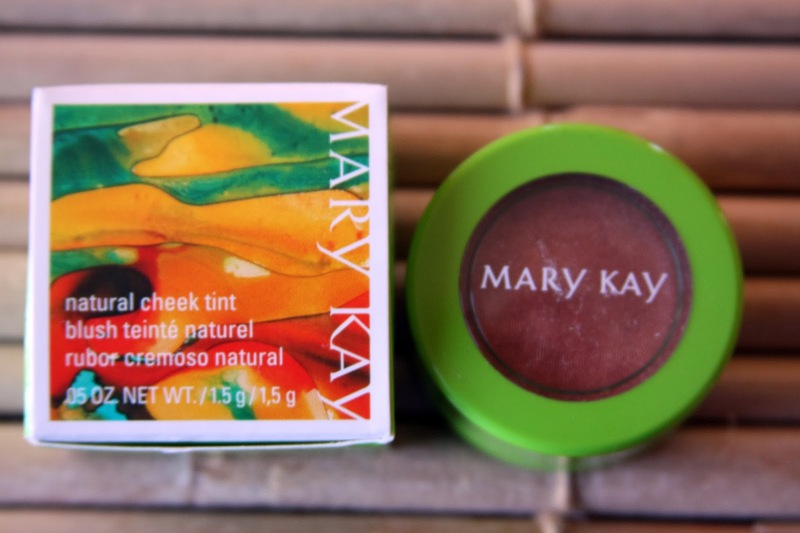 Fifth was a Mary Kay Natural Cheek Tint. When I think of a cheek tint I think of a liquid or cream product. I opened up the little pot and it is a powder. Hmmmm. It's in the colour Copper which is quite dark. The instructions say to apply with fingertips. Interesting. 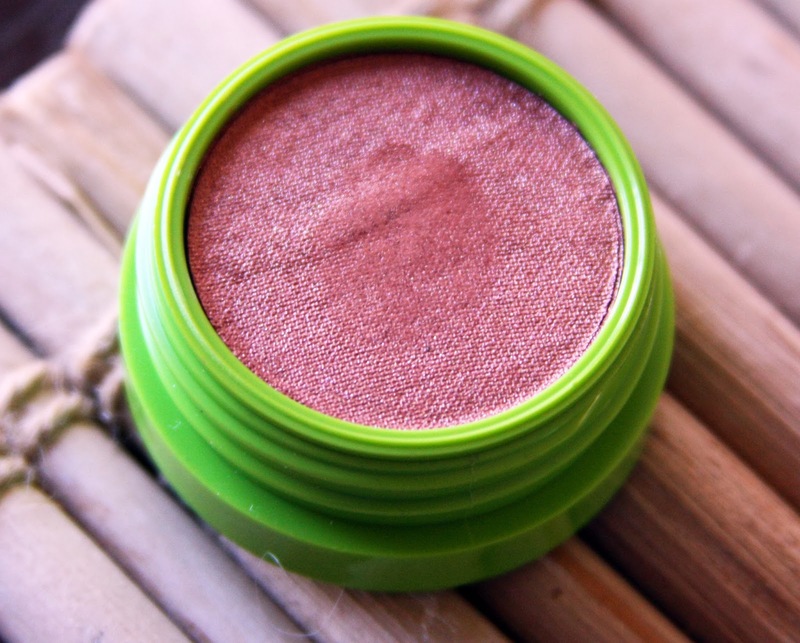 I swiped it on my hand and it is quite pigmented with some very fine shimmer. Might be nice when I am a little tanned. 6th, there was an Eslor face product sample pack. 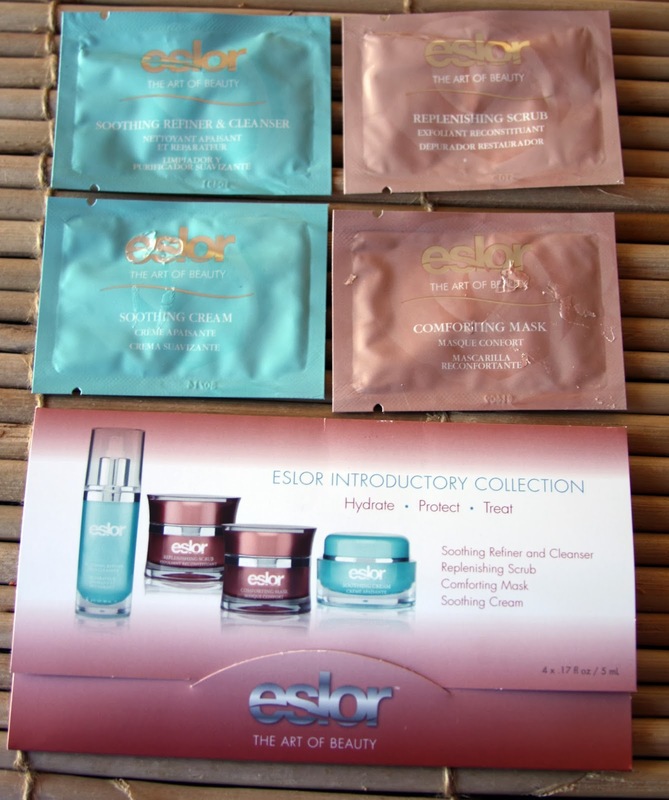 I have never heard of the brand but was impressed that the samples came in a little envelope with a range of products so that you can try them out together. Very handy for a pampering evening. 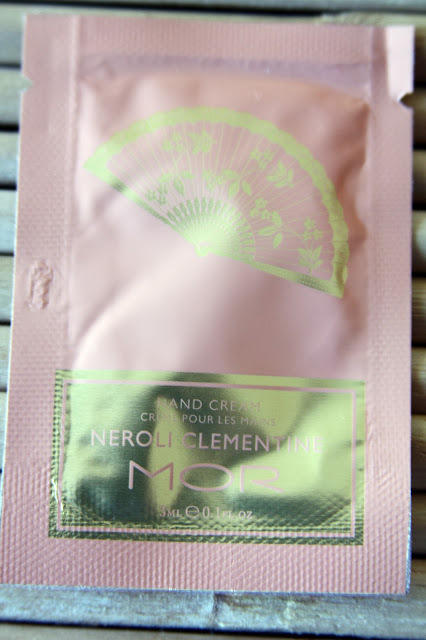 There was a bonus of a teensy Mor handcream in Neroli Clementine. I love MOR products, so was happy to receive this. 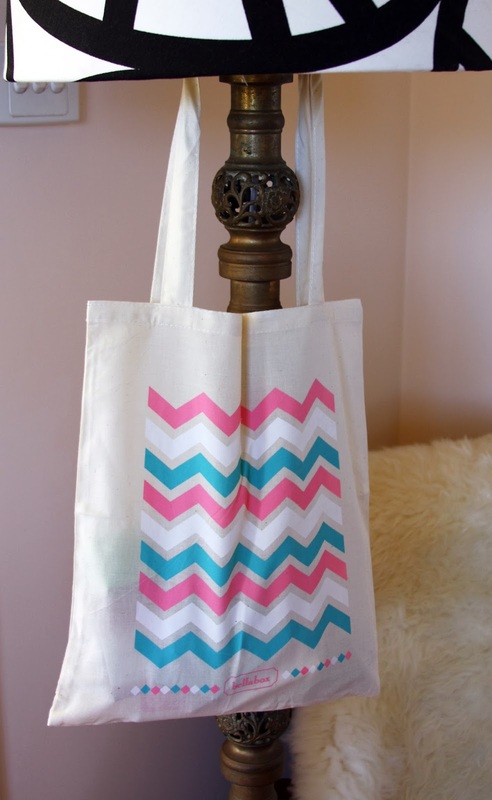 The last 'bonus' that Bellabox has been mentioning in emails lately was the calico bag with chevron kind of stripes and a small Bellabox logo at the bottom. The info card says that this bag's RRP is $19.95. CRAZY. It's a little sheer calico bag that probably cost $2. It seems a little cheap for their branding to try and charge $19.95 for it. So, all in all, I am quite happy with this months box, will see what next month brings, I am a fickle subscriber after all!